Buying a new home is an exciting venture that can be occasionally overwhelming. There are steps you can take to improve your chances of finding your dream home. Don’t go it alone. Do find a buyer’s agent. A buyer’s agent is a realtor who will work with you to search for homes that meet your criteria, set up showings, help you negotiate a fair price and advocate for you through the closing process. 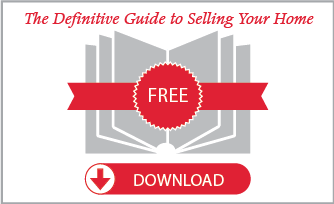 Sellers typically pay the commissions for the buyer’s agent. Don’t fall in love with the wrong house. Do know what you can afford. Obtain a mortgage preapproval before you begin house hunting. Knowing your price range will help you focus your search. Be sure to factor in taxes and insurance rates for the areas you are considering. Both can vary greatly from one neighborhood to another, making a substantial difference in your monthly payment. Don’t look only at houses. Do research neighborhoods. Do some neighborhood reconnaissance before viewing homes. 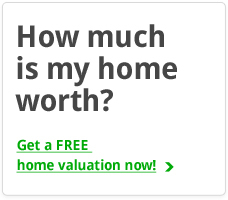 Visit websites like Trulia or Zillow to get an idea of price ranges. Greatschools.net is a good resource for researching local schools. Drive through the neighborhoods that interest you. Do the homes and common areas look well kept? Are there sidewalks and parks or problems such as flooding during rainstorms? Finally, look into local city or county development plans. Take note of any new roads, neighborhoods, or recreational amenities planned in the area. Don’t forget what you need. Do know what you want. Make a list of your must and mustn’t haves. Do you prefer a master bedroom downstairs or covet a cul-de-sac lot? While floor plans and lots cannot be changed, cosmetic features such as paint colors, fixtures, even flooring and cabinets can be altered. Also, think about which direction the house is facing. Windows with a southern exposure are great for plants; a kitchen on the east side of the home will be filled with the light at breakfast time. Consider your lifestyle and needs for now through as long as you plan to own the home. Don’t overwhelm your memory. Do make notes. Do carry a notebook in which to record memorable facts about the houses you visit. Carefully inspect the homes. Flush the toilets; fill a sink with water and observe whether it drains quickly. Try the doors and windows to ensure they don’t stick. Take pictures to jog your memory at the end of your house hunting expedition. It is wise to visit a house at least 2 times before you decide to make an offer. Don’t overlook potential problems. Do hire a good home inspector. Consider having a professional look at certain features such as the roof and HVAC systems. Many home inspectors may be unaware of problems such as recalls on HVAC equipment or they may not recognize a shoddy roofing job. Do not be afraid to ask for repairs or a home warranty during the negotiation and inspection phases.